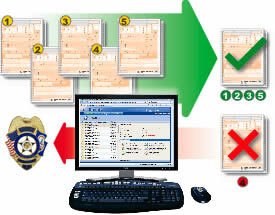 ReportBeam’s approval/rejection process ensures that all reports are completed accurately without errors or omissions. The unique web-based approach used for supervisors allows them to review a PDF version of the report without having to purchase or install any additional software. 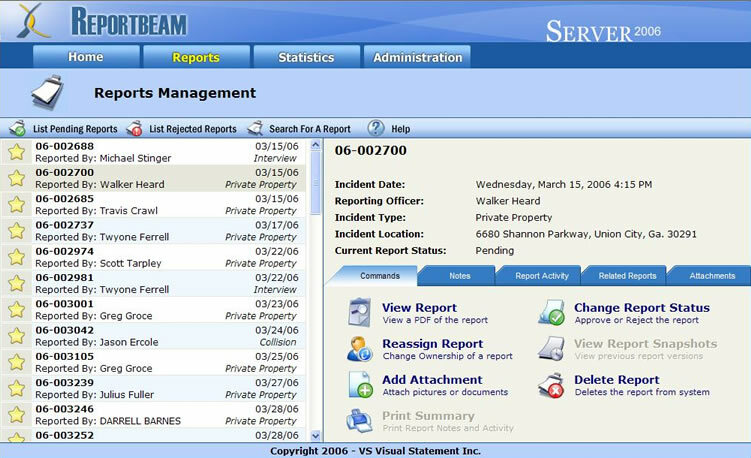 Officers and supervisors are not bound to a pre-set workflow, the ReportBeam system can be configured to match your existing workflow for creating and managing records, but still assist in streamlining the process. ReportBeam automatically tracks all access to a collision report. Whether the report is submitted to the system, viewed by a supervisor or approved/rejected, the ReportBeam system timestamps each entry with the username of the person responsible. Supports all form types. 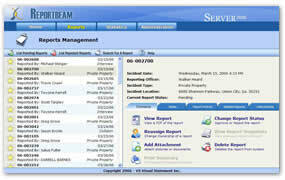 For example: Crash Reports, Citations, Incident Reports, Vehicle Inspection Forms, DUI Reports etc. To help speed up the approval process notes can be added to a report to provide feedback between officers and supervisors. This can help speed up the approval process and get data from the report into your community’s statistics for analysis. Additional document services include a transaction audit log to show anything and everything done to a particular report. Quickly see when the report was submitted, who viewed the report, and who approved the report. Search for reports by report number, name, location etc. The ReportBeam system not only makes the desired data instantly available but it also makes it easy to find and navigate related reports. Every report has a papertrail that contains a detailed list of everyone who created, accessed and modified a report. The audit trail makes it easy to track report corrections in a timely manner.